Yesterday, the leadership of the University of California, Davis, publicly rejected calls for the termination of Joshua Clover, a professor whose years-old tweets about police officers drew condemnations from the university’s College Republicans, law enforcement officials, and members of the California State Assembly, who introduced a resolution in the state legislature calling for Clover’s termination. Clover’s extramural comments were protected by the First Amendment, as my colleague Sarah McLaughlin explained in a letter from FIRE to UC Davis, and the university is legally barred from disciplining him for those comments. This is the correct result. By responding to protected speech it finds offensive by criticizing or condemning the remarks, the university has exercised the option available to it under the First Amendment. But the First Amendment forbids UC Davis, a state university, from terminating or disciplining a faculty member for extramural speech on a matter of public concern, and the First Amendment’s protection is not limited to civil, sober, or respectful speech. Chancellor May’s letter also cautiously invokes the president’s recent executive order directing various federal agencies to draw up requirements concerning the protection of freedom of expression at universities and colleges. It’s not clear whether those as-yet unwritten requirements would apply to an isolated infringement of a faculty member’s First Amendment rights — as opposed to, for example, maintenance of a policy or some other form of systemic, continuous practice. Regardless of the executive order’s eventual impact or requirements, May is both wise and legally obligated to exercise caution consistent with the university’s First Amendment obligations. 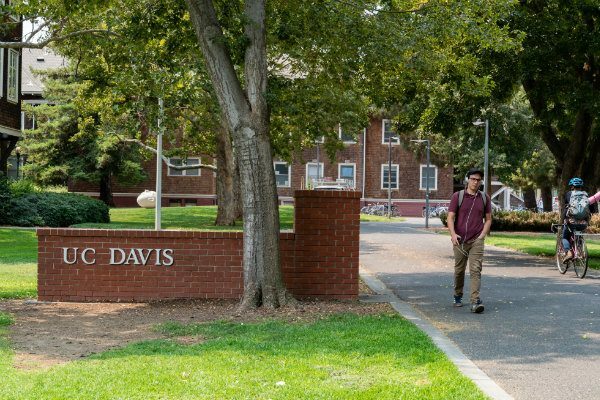 Calls for UC Davis to terminate Clover — including those by legislators and law enforcement officials — are calls for UC Davis to violate well-established First Amendment jurisprudence. The university is right to reject them and deserves credit for publicly defending faculty members’ expressive rights.